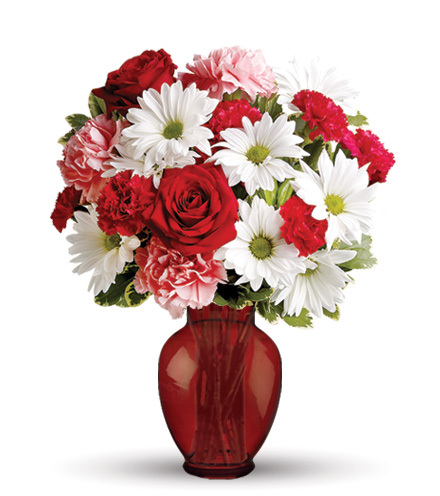 In glorious spring shades of pearly pinks and crispy whites, this vase pops with a few deep red roses and delicate pastel lilies. 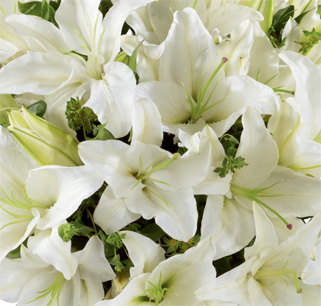 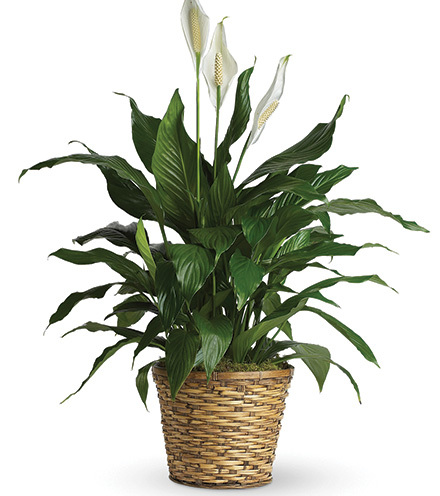 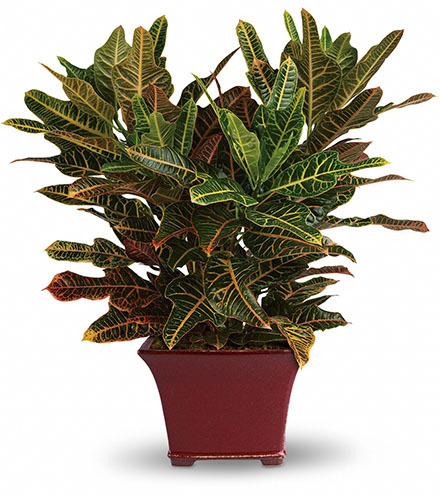 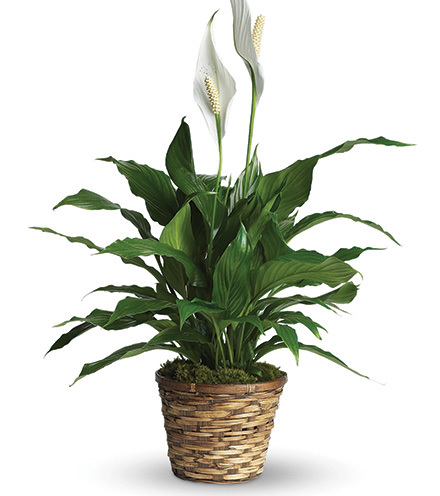 The exotic lilies arrive as buds for the longest enjoyment of the blooms. 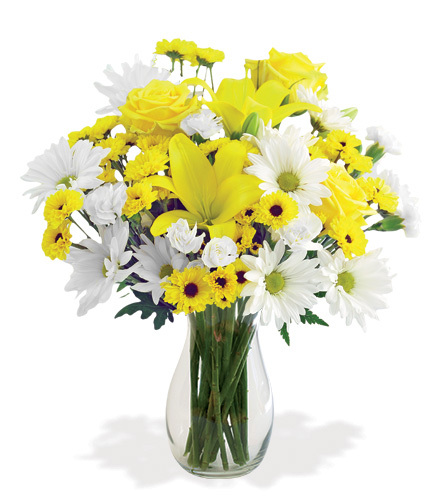 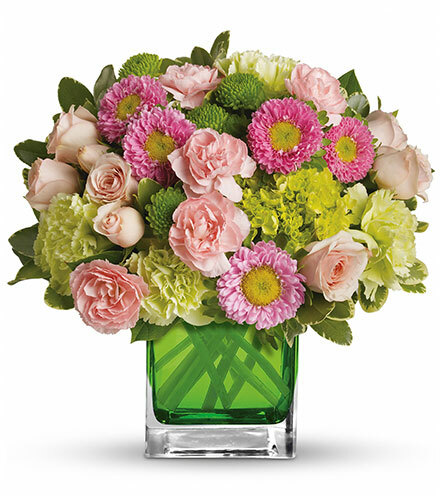 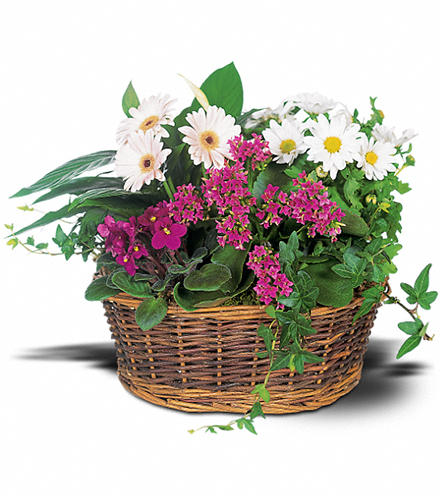 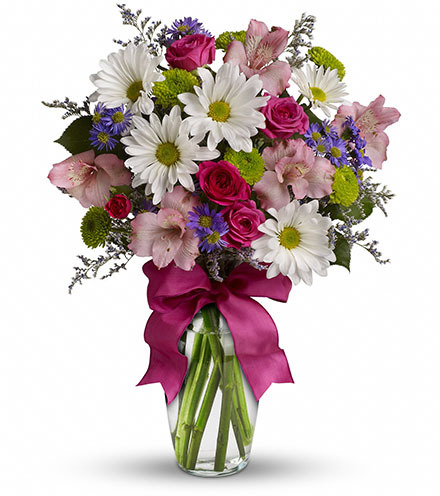 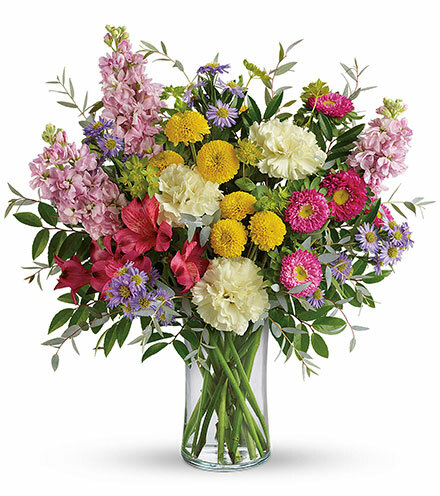 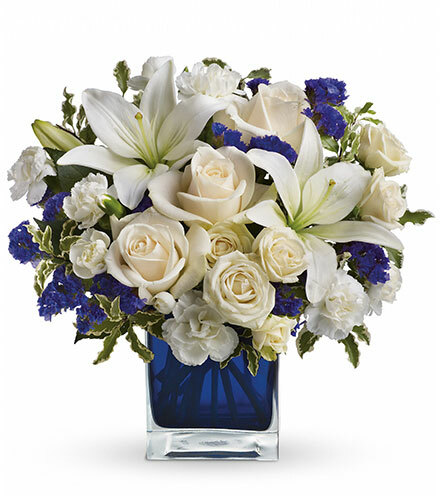 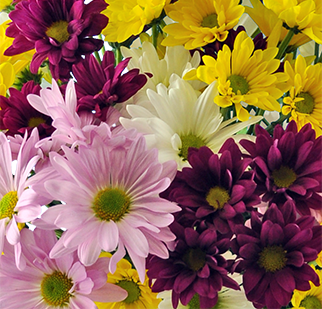 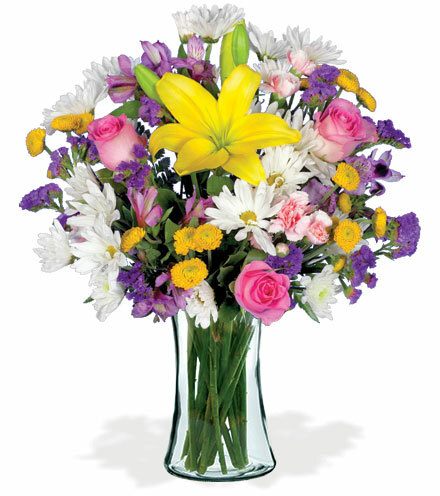 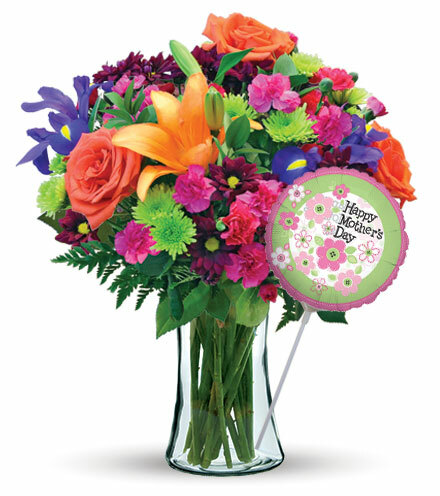 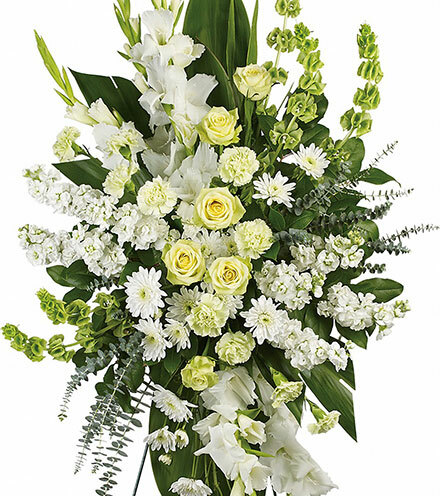 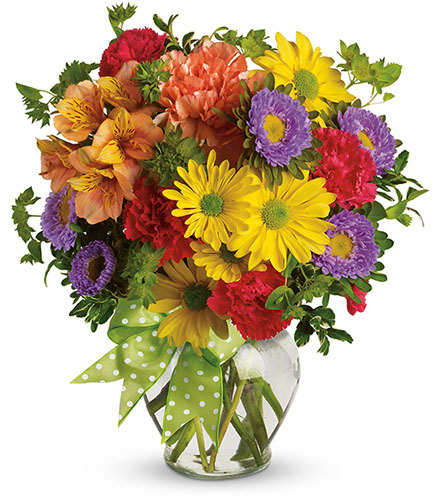 Mini carnations, alstroemeria and beloved daisies round out a spectacular fresh flower arrangement. 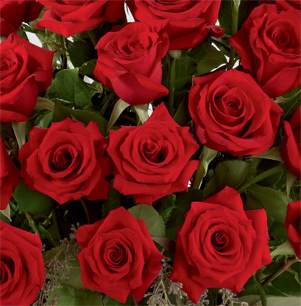 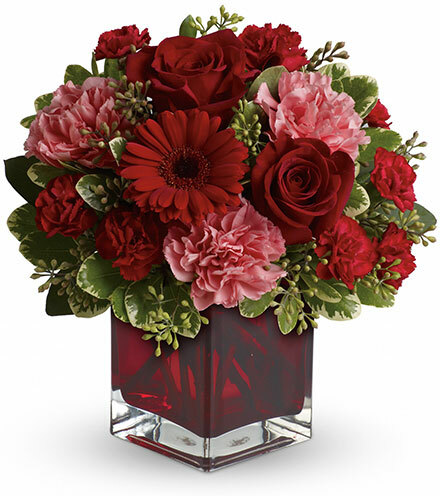 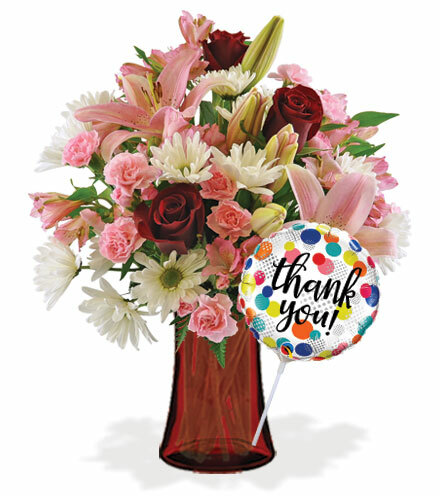 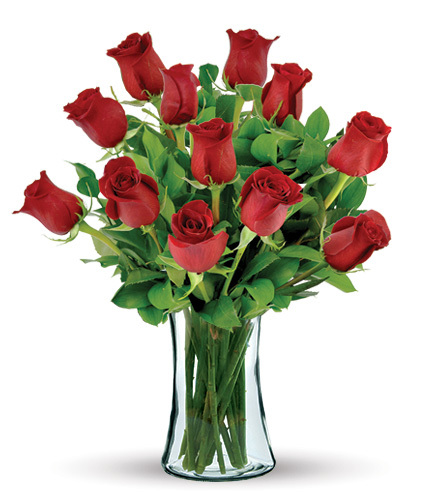 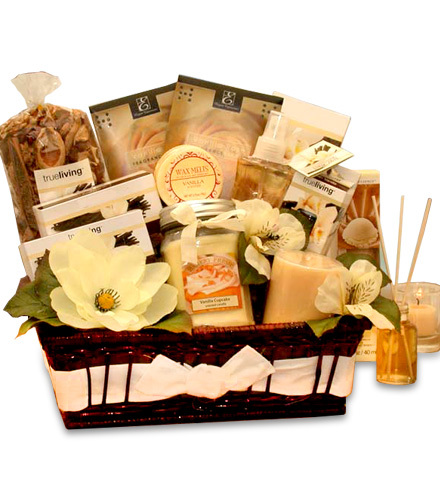 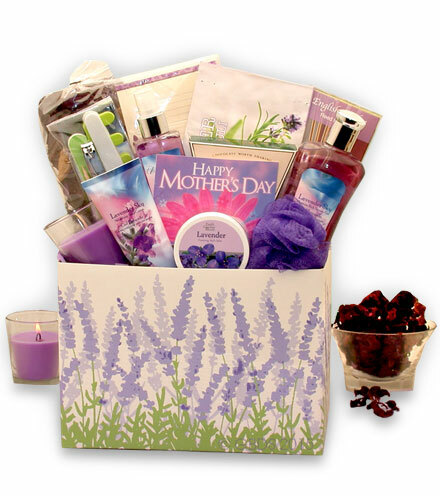 Delivered in a red glass vase with an thank you balloon, this is the perfect gift for that special someone.